NICOLE ANTEBI in collaboration with l’Ao (Melissa Grey and David Morneau), RORY GOLDEN, NINA ISABELLE, KYOUNG EUN KANG, and BRIAN McCORKLE with EDWARD SHARP. Nicole Antebi works in non-fiction animation, motion graphics, installation while simultaneously connecting and creating opportunities for other artists through larger curatorial and editorial projects such as Water, CA (a six-year collaboration with Enid Ryce) and Winter Shack (a three-year collaboration with Alex Branch). She has taught film/media courses at CUNY Staten Island, Parsons The New School, and Cal State Monterey Bay. She frequently collaborates with UNY, l’ao , and most recently with electronic music pioneer, Vince Clarke. She recently co-produced the five-part web series, Just Browsing, written by Joanne Mcneil and was the 2015 recipient of a Jerome Foundation film/media grant for a forthcoming film about the border landscapes of El Paso and Juárez. l’Artiste ordinaire is the inevitable collaboration between Melissa Grey & David Morneau. They create sound in performance. Their music is a heady mix of machined EDM beats, sound art practices, and soulful figurations. They bore inside moments of sonic ecstasy, exploding them into a trillion sparkling shards of shimmering sounds that swirl in a paradox of energized stasis. l’Artiste ordinaire designs projects that expand in endless variation to collaborate with musicians, video artists, designers, and creative technologists with Grey’s benjolin synthesizer and Morneau’s trombone at the center. Rory Golden has received fellowships from Yaddo, the Bemis Center for Contemporary Arts, the Blue Mountain Center for major projects“Your One Black Friend” and “See Related Story: The Murder of J.R. Warren”.Recent awards include a research grant from Duke University Libraries Special Collections, a Puffin Foundation Grant a residency at Blue Sky Project and the Manhattan Graphics Center, all towards completing “You Think I Can Eat All This Chicken Here?” In 2012 Rory had a solo exhibition “Pack up a Little Truck and Keep it on Push: Works on Paper 2008 Forward” at Art for Change (NYC) and he was the Phillip C. Curtis Artist in Residence at Albion College (MI). Nina Isabelle is a process-based multidisciplinary artist working with language, perception, action and phenomena. Through performance, object construction, photography, video, and documentation her projects aim to generate processes that fortify meaning through psychic imprinting in spite of cerebral interpretations. Motivated by the failure of dialogue, the dissonance between form and content, the imposition of objects in space, as well as the deficiencies of literal language, she frames her process as both an inquiry into and a demonstration of a recursive method that continually cultivate futures by reforming the past. Isabelle is the founder and organizer of Three Phase Center for Collaborative Art Research & Building where she facilitates and documents artist’s process, projects and presentations. Currently she is interested in developing differential definitions of process and approach by understanding how sequence and simultaneity impact concept and action when interlaced with physical material, documentation, and the observer over time. Her work has appeared at such places as The Linda Mary Montano Art Life Institute, Panoply Performance Laboratory, The Elizabeth Foundation, Living Arts Tulsa, NA Gallery, Bangkok Underground Film Festival, San Diego Art Institute, and The Unstitute. 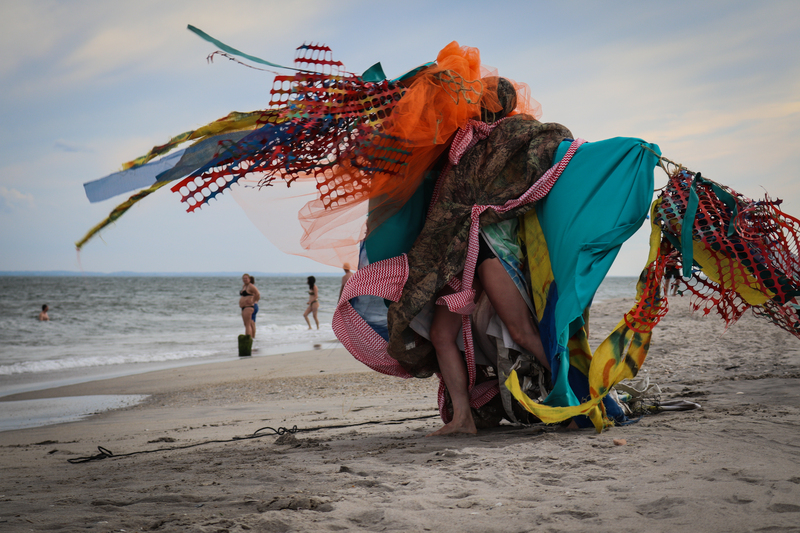 She has collaborated with Feminist Art Group, Muscular Bonding, and Anarcho Art Lab. Kyoung Eun Kang work varies in format from live performance to video, drawing, photography,text and sound pieces. In her attempt to capture the subtle beauty of human encounters and growth, she embracing dynamic actions that resonate in the human experience, such as walking, breathing, eating and gathering. For the last few years she has been videotaping some of the New York City ‘s most humble workers: flower sellers and elderly couples who live in Nebraska. Working closely with her family in Korea, she is exploring her personal transformation, growth and identity trying to understand the boundaries in personal and familial relationships. Her work raises questions about how we build and keep family bonds in a constantly changing and multicultural time and space. Brian McCorkle is a composer, performer, and digital artist. In addition to being a founding member of the composer’s collective Varispeed and his work as a solo artist, he is the Co-Director of the Panoply Performance Laboratory (PPL) with Esther Neff. PPL makes large scale performance art operas in addition to duo and small group performances around the world. Brian McCorkle will present work in collaboration with Edward Sharp. Anya Liftig is a writer and performer. Her work has been featured at TATE Modern, MOMA, CPR, Highways Performance Space, Lapsody4 Finland, Fado Toronto, Performance Art Institute-San Francisco, Queens Museum, Atlanta Contemporary Art Center, The Kitchen at the Independent Art Fair, Performer Stammtisch Berlin, OVADA, Joyce Soho and many other venues. In “The Anxiety of Influence” she dressed exactly like Marina Abramovic and sat across from her all day during “The Artist is Present” exhibition. Her work has been published and written about in The New York Times Magazine, BOMB, The Wall Street Journal, Vogue Italia, Next Magazine, Now and Then, Stay Thirsty, New York Magazine, Gothamist, Jezebel, Hyperallergic, Bad at Sports, The Other Journal, and many others. She is a graduate of Yale University and Georgia State University and has received grant and residency support from The MacDowell Colony, Yaddo, Virginia Center for Creative Arts, Franklin Furnace Fund, KHN Center, Atlantic Center for the Arts, The New Museum, Mertz Gilmore Foundation, Flux Projects, University of Antioquia and Casa Tres Patios-Medellin, Colombia. Her first book, a memoir, is forthcoming.